The biggest decision you need to make as a BBQ novice or professional is what side of the line you stand on. The wire brush side or the Nylon pad side. Sure the wire brush maybe cheaper and cleans your grill faster but at what cost? The number one problem with wire or steel brushes is the bristles WILL fall off and can end up in your food leading into huge problems if it is ingested by humans or pets. The safer side is brass pad scrubbers. The scraper grill pad will get all the gunk off your grill so your food can cook perfectly and evenly every time. Looking for ideal BBQ Grill Grate Cleaner Manufacturer & supplier ? We have a wide selection at great prices to help you get creative. 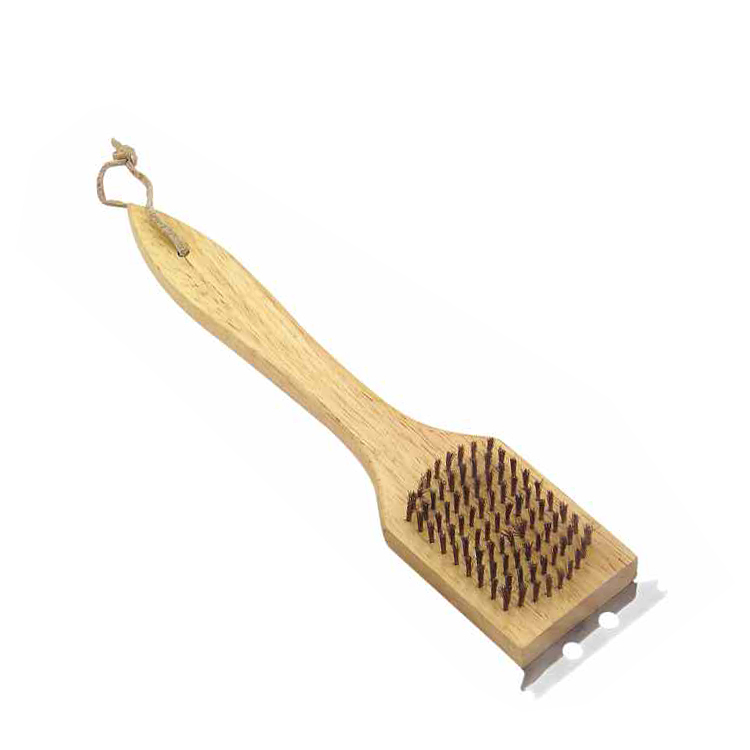 All the Grill Brush Scrapers Grid Scrub are quality guaranteed. We are China Origin Factory of Grill Bbq Cleaning Brush. If you have any question, please feel free to contact us.